Looking for plenty of space in your next car? Westchester County, Yonkers, and Mt. Kisco drivers can explore BMW sport utility vehicles. An SUV can be a perfect mode of transportation for a growing family, but also an option for those who want cargo space and room to stretch out. BMW of Westchester carries numerous BMW sport utility vehicles here on our lot. With a wide variety of SUVs, find the one that’s right for your lifestyle. Keep reading to learn more about SUVs and what your options are when visiting a BMW dealer. The first iterations of sport utility vehicles were larger vehicles with 4-wheel drive and off-road capability, built on a truck chassis. As times changed, however, buyers who weren’t seeking off-road capability became more common. This meant manufacturers sought to create more stylish SUVs, with handling more like a car than a larger truck. Most SUVs are equipped with 4-wheel drive, which can prevent you from getting stuck when the weather outside isn’t cooperating. Some SUVs will not have this, though, to reduce weight and keep fuel economy numbers high. SUVs come with a more upright build and taller interior, with higher seating than a sedan. High driving positions have become popular with motorists, though the original intention of SUVs wasn’t to provide a higher seat or view. The original idea was to be able to go over rocks and ruts without damaging the bottom of the car. Today, SUVs come in a range of sizes and prices, from smaller models to extended-length models. Seating for five is common in SUVs, but you’ll also find third-row seating in many. The first-ever BMW model in the SUV vein was the X5. However, BMW created a name for their SUV: Sports Activity Vehicle. These cars are spacious and able to take on various terrains. However, they keep the sports car design you’d expect from BMW. Take on the roads with up to 456 horsepower, with engines providing dedicated power and available eDrive technology offering efficiency. You can even choose between xDrive, the BMW all-wheel drive system, or sDrive, the rear-wheel drive setup. Navigate to your destination in style, and use the 40/20/40 rear-folding seats to your advantage. There’s enough space and storage to bring everyone and everything. Get behind the wheel of one of these BMW Sports Activity Vehicles through BMW financing. 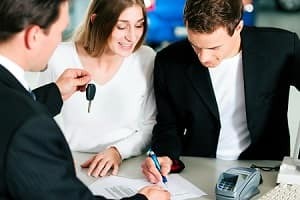 Our financial professionals will provide advice and resources in our finance center to assist you in making an informed decision about your next car. Whether buying or leasing your next BMW, we’re here to help. Explore our current BMW lease deals and new vehicle specials today. 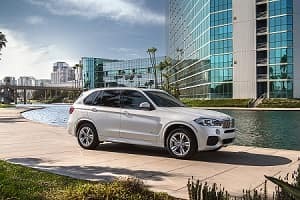 Now that you’ve learned a bit more about SUVs and what’s on the lot in the current BMW lineup, pay us a visit here at BMW of Westchester. We aim to help Westchester County, Yonkers, and Mt. Kisco motorists each and every day, and look forward to serving you next!